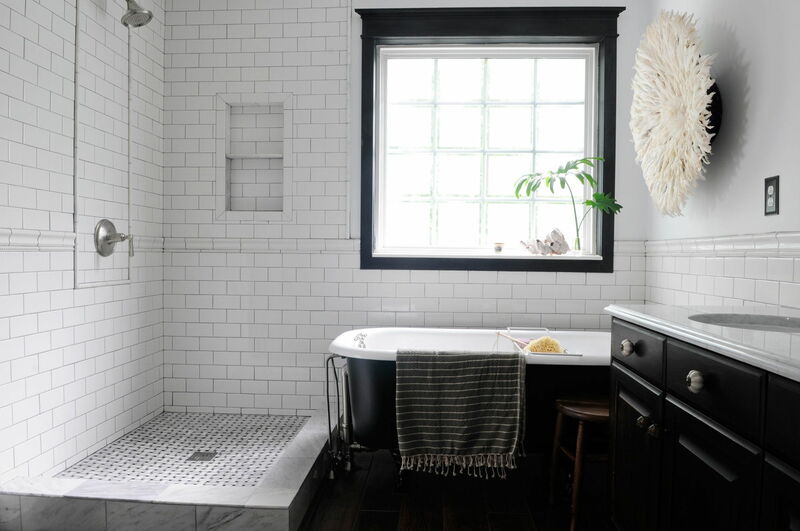 Transform your blah bathroom into an oasis of glamour, serenity, or both. 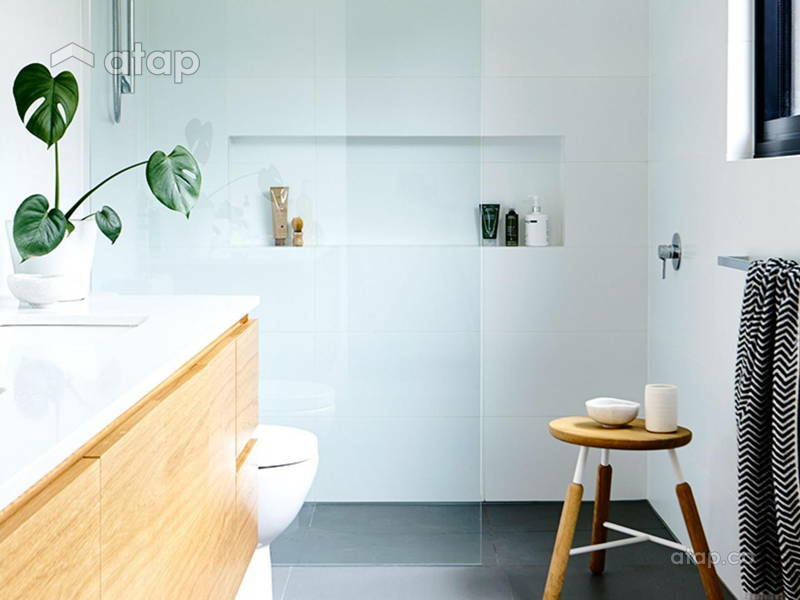 The bathroom is your sanctuary, a place to soak away the day’s worries and think big thoughts upon your porcelain throne. 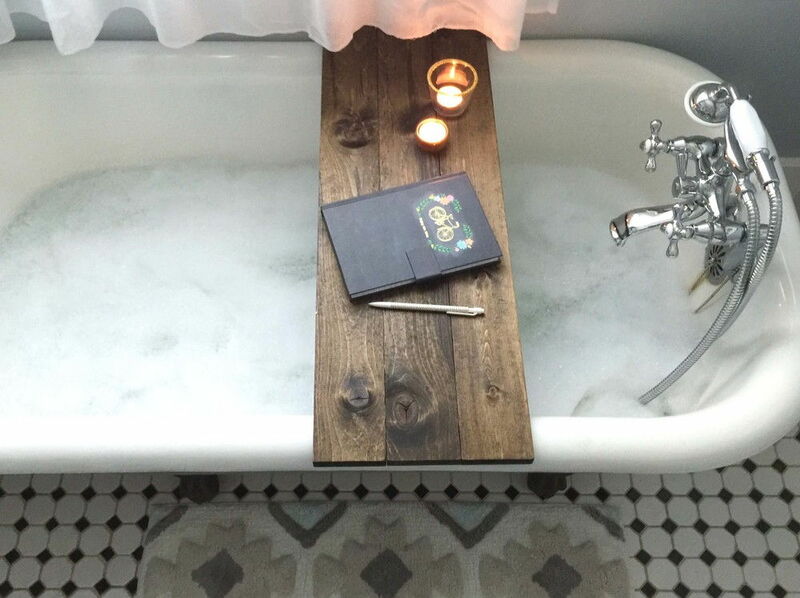 Make it a space where you can relax and unwind…literally. The average person spends an hour in the bathroom every day, which adds up to a pretty significant percentage of your life. Turn all that showering, flossing, and magazine reading into pleasurable experiences by adding a touch of pizzazz to your space! 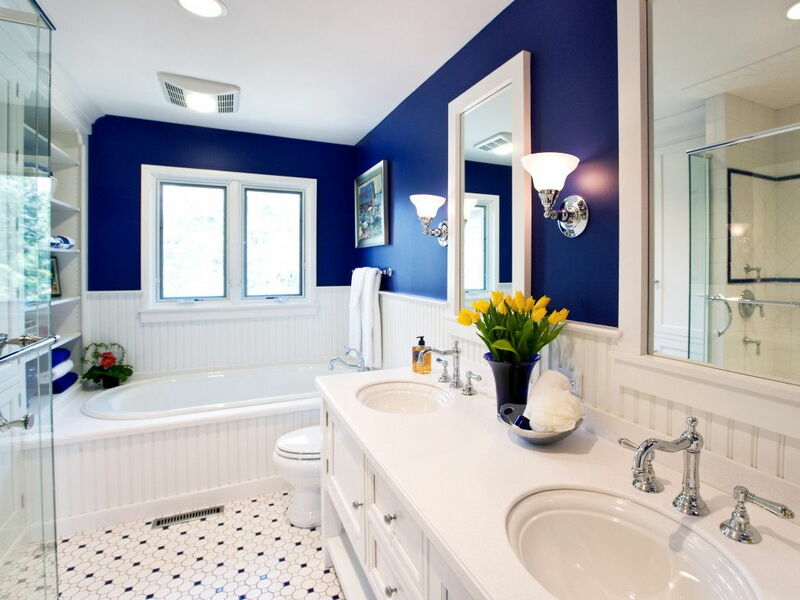 How do you want your bathroom to feel and look? Settle on a unifying colour scheme for your walls, floors, and fixtures – check out our article on how room colours can affect your mood. Alternatively, add a touch of whimsy with clever motifs! 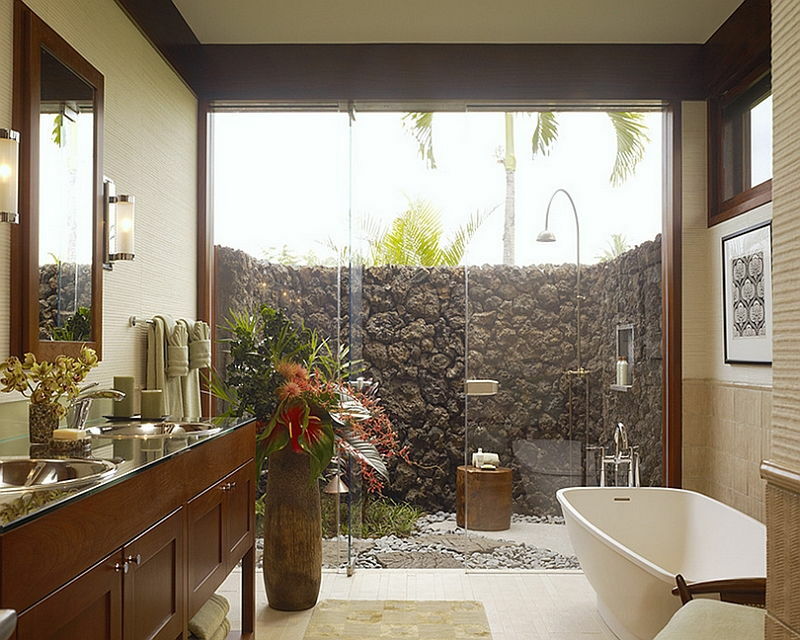 A safari-themed bathroom or bright colour blocking can really showcase your personality. There is no one bathroom theme to rule them all; the important thing to have is an underlying concept that unifies all the amazing ideas you have. Don’t forget matching bath towels! 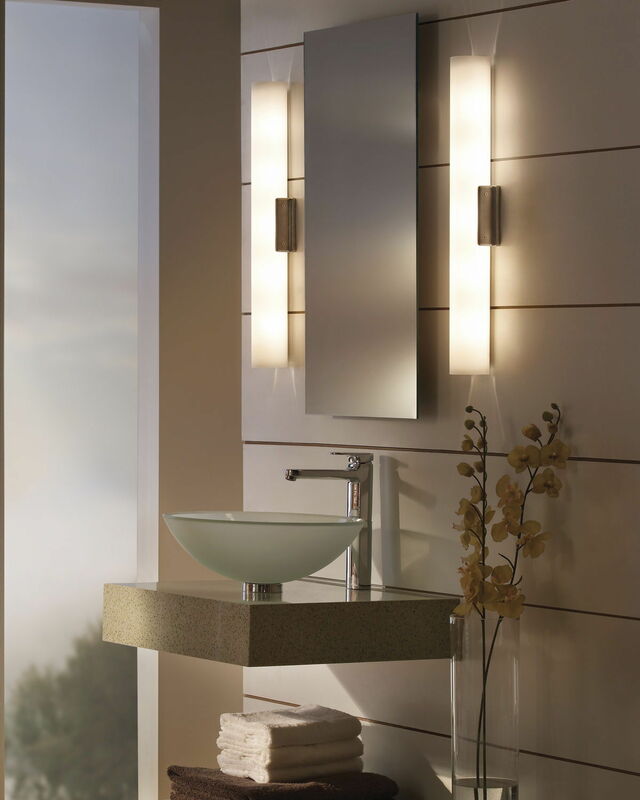 Replace your faucets, door handles, towel racks, lighting fixtures, and grab bars (basically all the shiny metallic bits in your bathroom) with pieces in similar shapes and finishes that complement the rest of your theme. 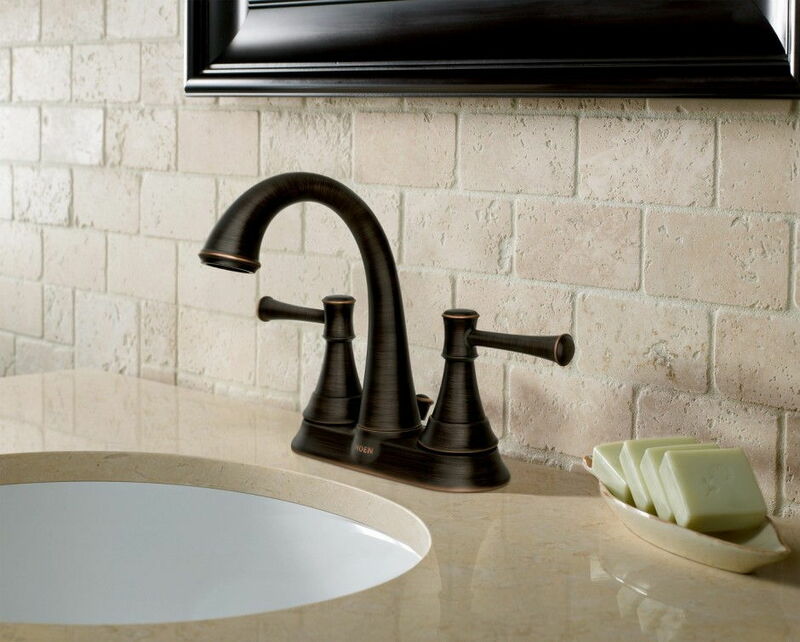 Talk to your contractor or visit a showroom where you can compare and contrast on your own. Instant razzle dazzle points! To illuminate your entire space, recessed can lights or wall lighting provide even spa-like light without being too harsh. Get dimmer lights so that you can adjust according to different moods and needs – the soft lighting you need when you’re taking a long, relaxing bath is not going to feel so great when you’re on the toilet with your favourite book in hand. For your vanity, experts suggest lamps on both sides of your mirror. Overhead lights can create shadows, making it ineffective for shaving and applying mascara. If your bathroom is built next to a private outdoor space, a semi-outdoor concept with low wall partitions or large picture windows is a great way to be one with Mother Earth. 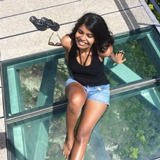 Single storey houses can also benefit from open ceilings or skylights for truly life-changing experiences bathed in water and sunshine. 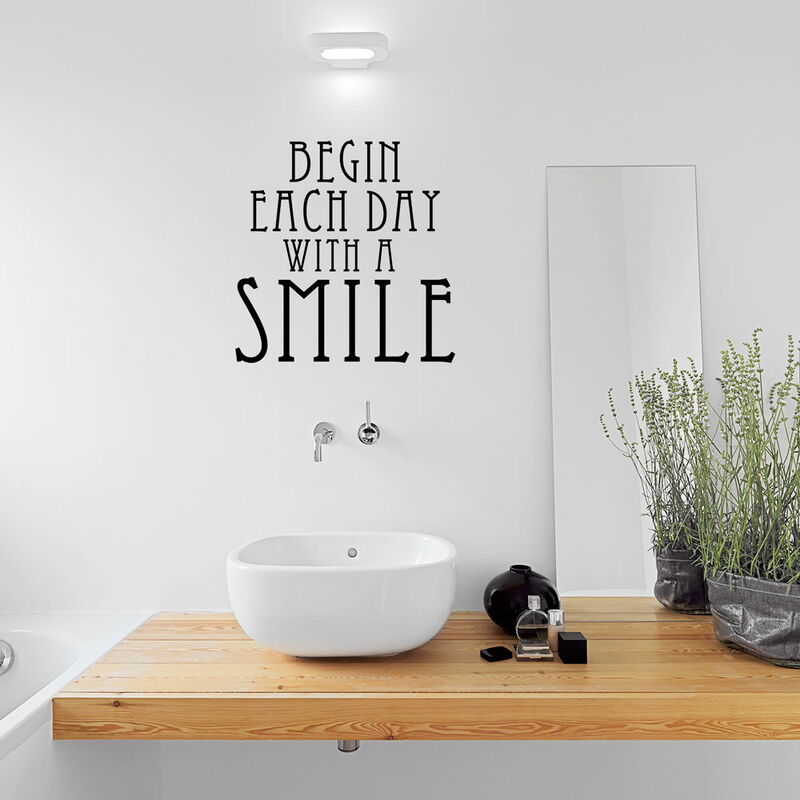 Face it, the mirror is the most important thing in your bathroom. A well-framed mirror can make all the difference; you can also transform an unused wall area into a large floor-to-ceiling mirror. A lovely bathroom can be ruined by mismatched shampoos, shower gels, hair products, and razors in your shower caddy or vanity shelf. Look for products in bottles that complement your theme. Buy matching, empty pump bottles and fill them with your favourite bath products. 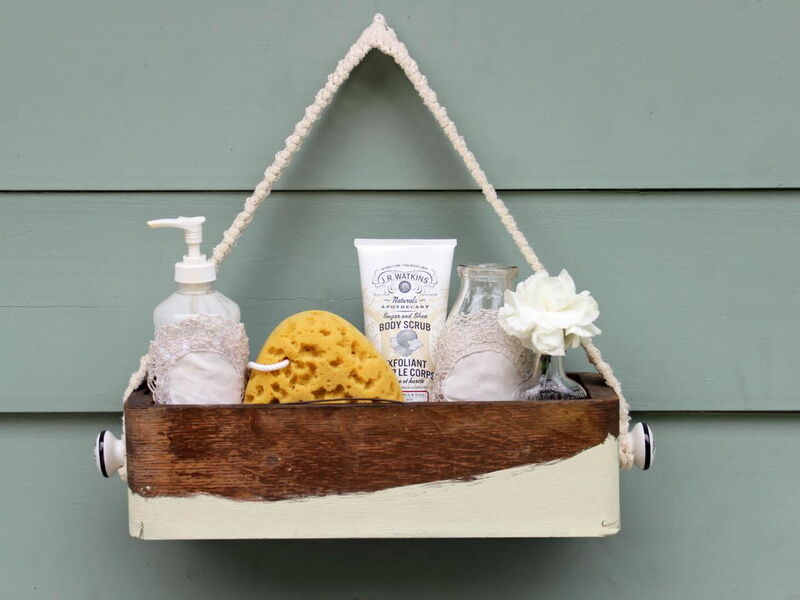 Opt for hidden shower caddies or wicker baskets for your sink’s knick knacks. Embrace the kitsch! A stylish caddy and good organisational skills can make all the difference. We’re not talking about your parents’ repetitive floral prints. 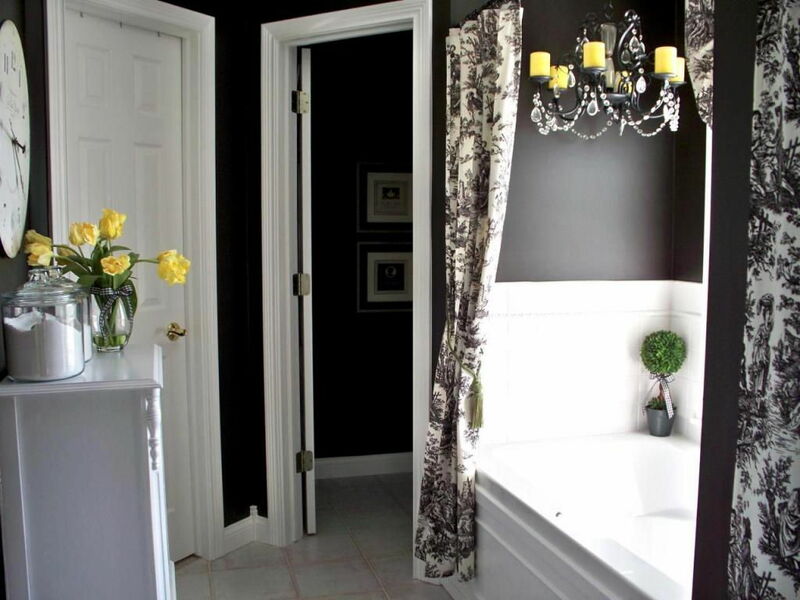 Black and white wall prints or decorative decal can add some oomph to an uninteresting bathroom. A potted plant, smooth pebbles, or paintings also help break up the dreariness. You can also line your shelves with towels that are rolled up or folded in fun shapes. Bathtubs are not a norm in Asian homes, but we highly recommend having one for ultimate glam time. Beautifully designed pieces can complement the rest of your décor – break conventions by making it a centrepiece in the middle of your space if you’ve got the floor area for it. If tubs are not an option, fret not! A low bench with foot bath in your shower space can be just as relaxing. Before your practical side scrunches up her face and says “excusez-moi?”, hear us out. Talk to your interior designer about spa tubs that are designed and shaped for home use. Once you’re ensconced in a thousand warm air bubbles or being massaged by powerful jets, you’ll thank us. Showers with steam saunas are also growing in popularity as an alternative to traditional tubs. Once installed, you can easily transform your shower stall into a steamy haven whenever you need it. You’re in your tub, you’re having a good time… but something’s missing. A foldable tub tray or wall recess can hold all your entertainment essentials – tea candles, a glass of wine, your favourite book, and a box 20-piece nuggets. Enhance your bath and prep time by shuffling along to your favourite tunes. Built-in sound systems that cater specifically to your splashy bathroom needs are available, though you can also opt for smaller waterproof players that can stand up to the challenge.